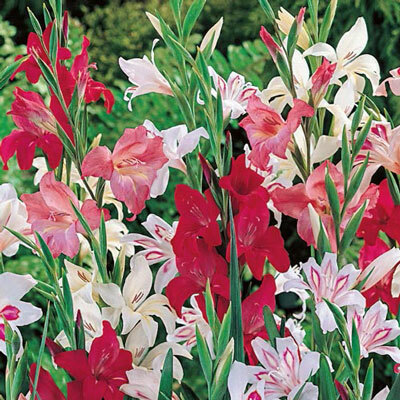 Cheery mixture of starlike flowers in pink, purple, red and white open from upright spikes in summer. 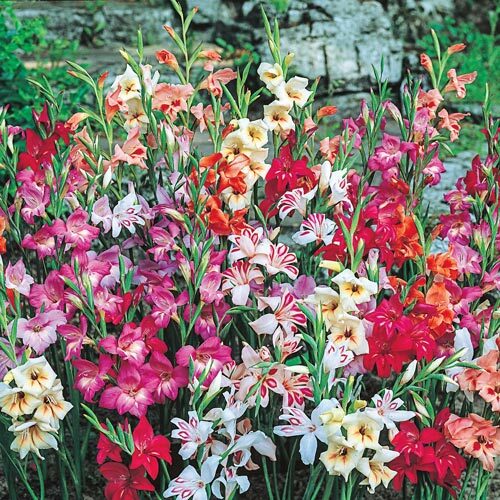 Their hardiness and vertical growth habit makes them well suited to perennial borders. They're also showy cut flowers. To extend bloom time, plant bulbs every 7-10 days. Exceptionally hardy and brilliant in bouquets.